View From Zero to Hero in 7 years (and counting). Tales of DevRel Practitioner. on Notist. 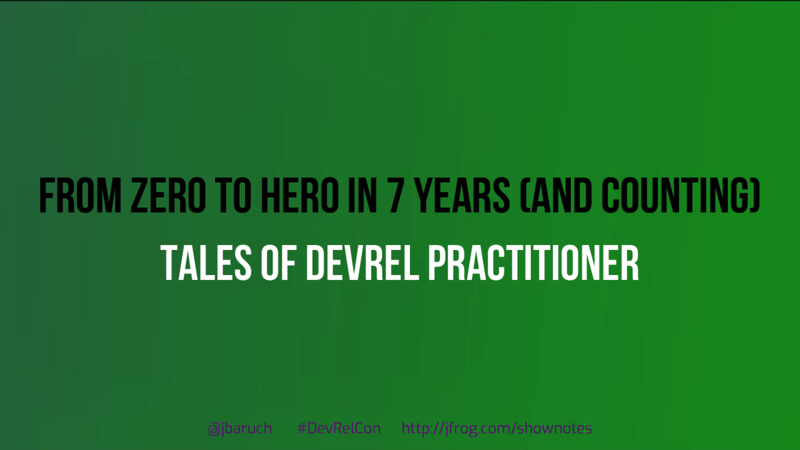 After 7 years in DevRel in JFrog, Baruch knows one thing: in DevRel learning never stops. In this talk, he will talk about what he learned over his career and will share his experience on the most important topics in DevRel: First of all, of course, KPIs and metrics, but also, where (and how) the money comes from, hiring, management (since it’s not only self-management now), some other important stuff like too much travel, and last, but not least, KPIs and metrics. But remember, learning never stops! What are the changes we’ll learn he’s wrong about everything? !